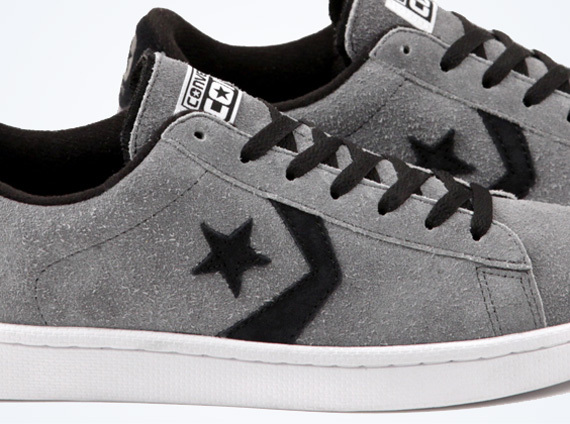 Just on the other side of the ocean fresh Poseidon colorway comes another Pro Leather lowtop from Converse Skateboarding that rocks one of the simplest palettes possible. This new CONS Pro Leather is done in a grey suede with black accents up top and a white cupsole, that last element a reminder of how the Pro Leather stands out as compared to most of its 1970s basketball blucher contemporaries. The addition of a LunarLon footbed at a price tag of only $65 makes these oh so enticing as a go-to skate shoe or something casual you know you can wear with just about any fit, and you’ll find them available now at CONS stockists like DQM.